The entrance to the former Roylat Hotel. The Roylat, which is “Taylor” spelled backwards, was built Jack Taylor in 1926. The hotel was built to resemble a Spanish walled settlement. In 1929, after the collapse of the Florida land boom, the hotel was purchased by the Mendels brothers who operated the hotel until 1932. 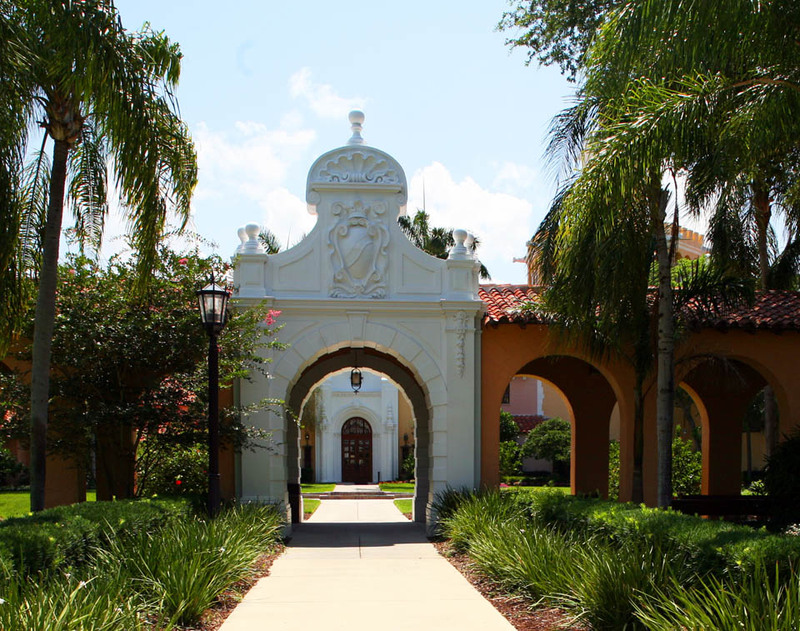 In 1932, the Florida Military Academy was relocated to the site. 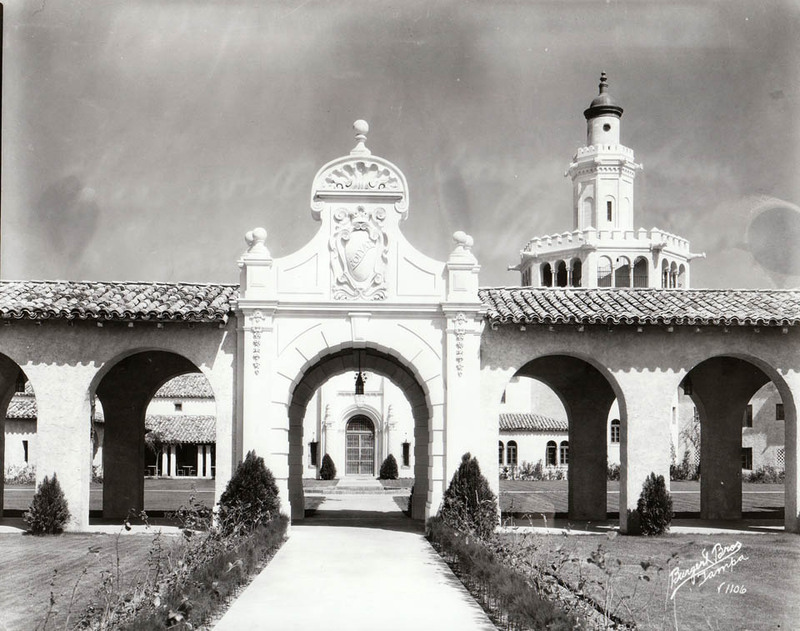 In 1954, Stetson University relocated their law school to the former Rolyat Hotel in Gulfport.